Have you ever heard of the famous “paseo de olla” or “pot trip”? Well, it’s a family trip of one or two days that we take in Colombia where we also bring everything that is needed to make a sancocho or asado (BBQ). 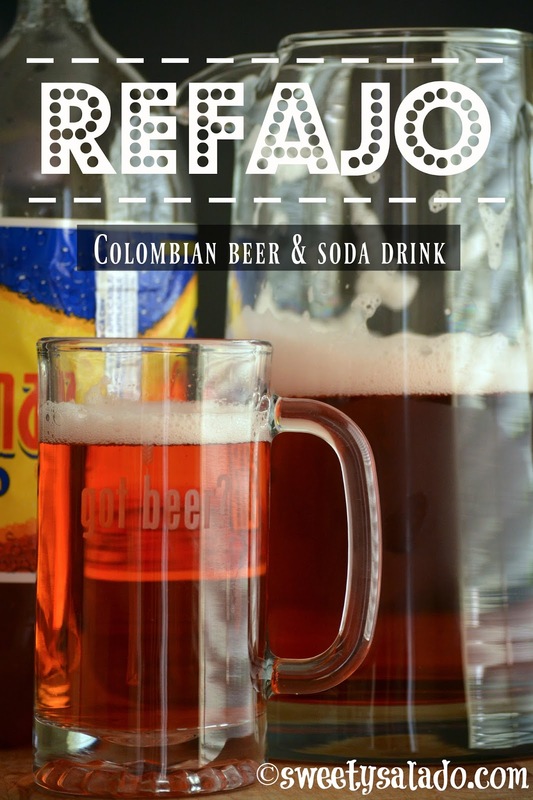 We also take all kinds of drinks with us like sodas and beer to make our all time favorite”refajo”, which is mix of Colombiana soda with beer. If you have not tasted a Colombiana soda, then you should try to find it because I can’t really describe its flavor to you. The label says it’s a “kola flavored soda” but it doesn’t taste anything like a cola. I’m not 100% sure, but I believe that years ago it used to say “champagne flavored soda”, which is more like it. Think of it as a sweet tasting champagne, but without any alcohol in it. 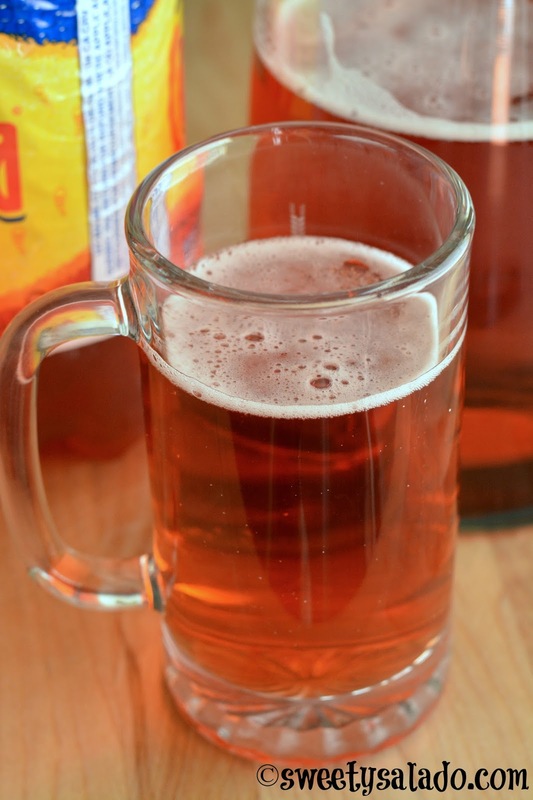 Mixing soda and beer is not something new, in fact, it’s done all over the world, mainly by soda and beer companies as a marketing ploy to sell their products. And… it works really well because “refajo” it’s an unbelievably popular drink in Colombia. My husband loves it and I always try to make it during the summer if I can find Colombiana at one of the Latin grocery stores we have here in town. 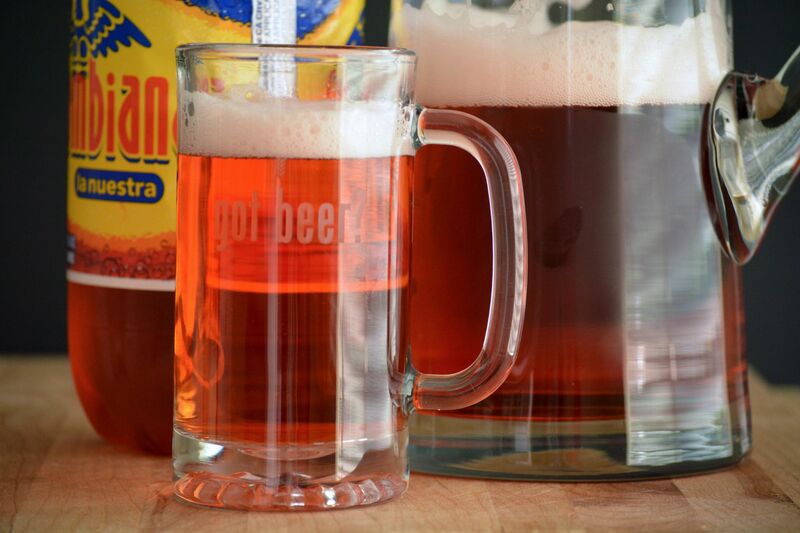 Pour the Colombiana soda and the beer in a large pitcher. Serve immediately.